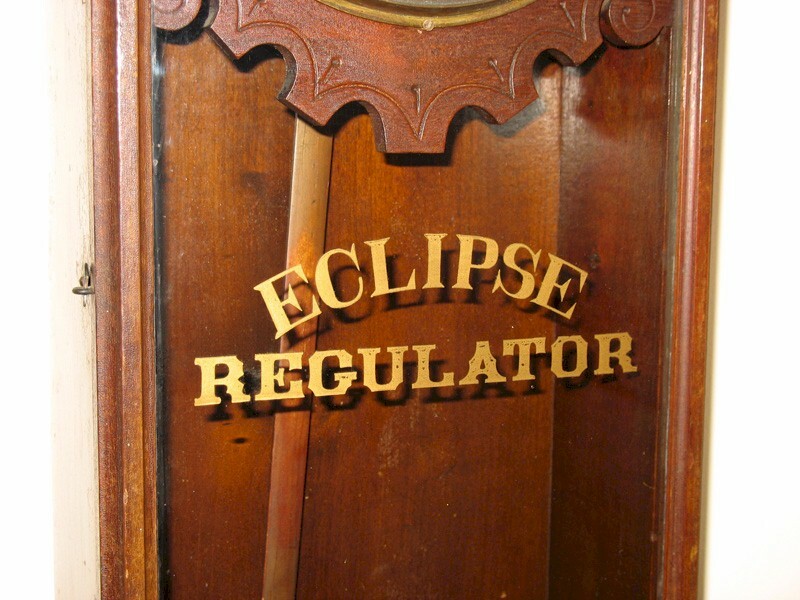 We are offering an excellent example of an E. N. Welch "eclipse regulator" wall clock. 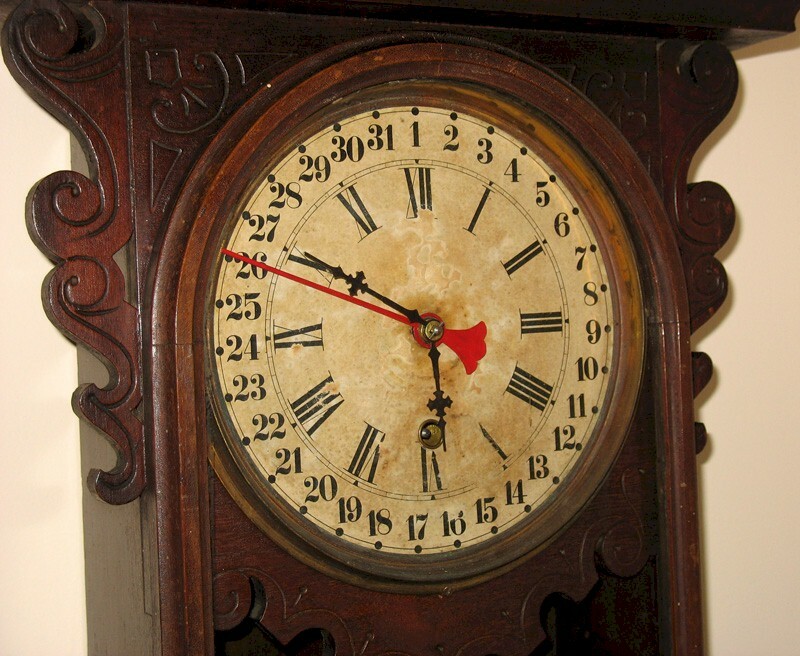 The walnut case is in the Eastlake style, and it is a wonderful example of Americana! 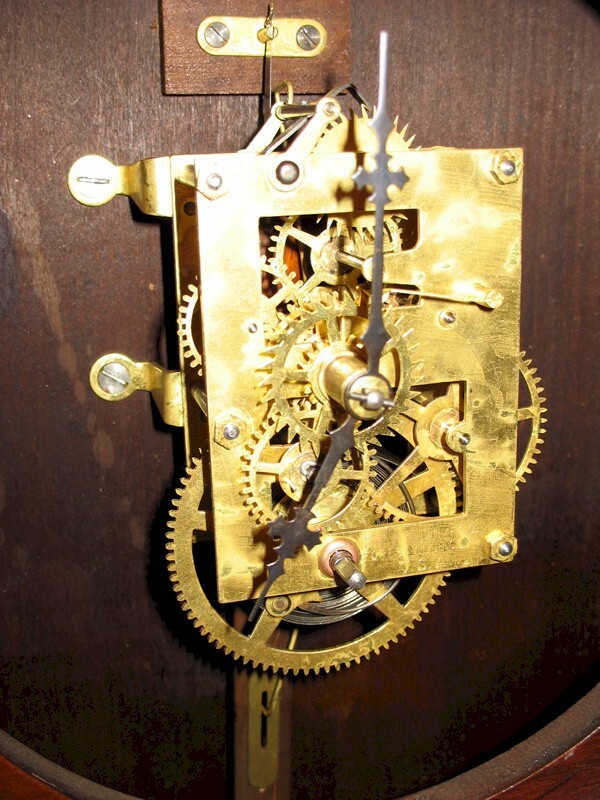 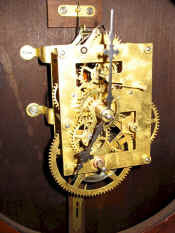 The spring-driven, eight-day running, time-only movement (above, left) has a simple calendar (above, right) that advances the date automatically each day. 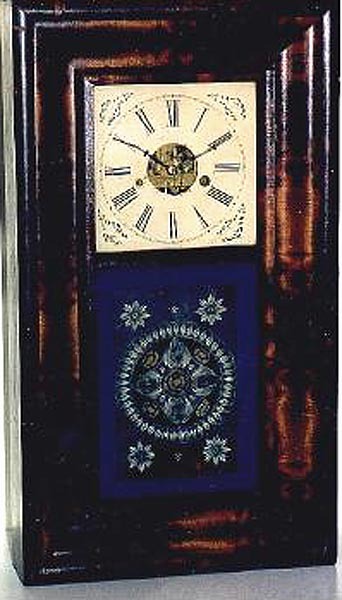 This clock is original throughout, including the stenciled glass (at left).